The Swing Trading Strategy, is a short term investing strategy in the stock market, that involves a two-to-five-day market cycle, and identifies high and low points in short-term cycles. The stock trader can then move in and out of stock positions methodically. While the big institutional investors such as mutual funds have an advantage over the individual retail investor and stock trader - more money, better research, broad diversification, the Swing Trader has flexibility and mobility as an advantage. They can make decisions quickly, pay attention to the subtle, short-term price movements that characterize market cycles and focus on a few key stocks. This is where the Swing Stock Trading strategy has it's main advantage. Rather than making decisions based upon emotion, this technique is based upon logic and technical analysis. A Swing stock trader can make profits in both short and long time frames, but only if they can see past the emotional and psychological reactions that govern the thinking of the crowd mentality. Swing stock traders observe how emotions affect price, and act when those emotions exaggerate a trend to present a profit opportunity. A "swing" is a change in direction. So a stock that has been trending upward will swing to the downward and visa versa. Swing stock traders use the timing of short-term stock trading patterns to take advantage of the swing tendencies of stock prices. These tendencies are to trade in brief waves in which stock prices rise and fall. 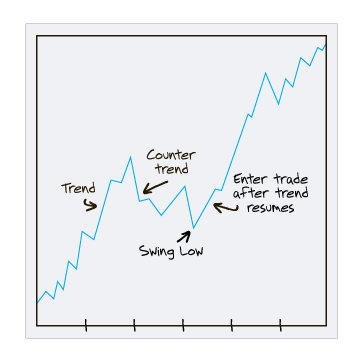 After specific patterns and signals occur, a reversal often takes place and this is where swing-trading becomes a powerful timing strategy. For example, after a stock's price has risen in a specific trading pattern, based upon certain technical analysis and using specific technical indicators and pre-determined support and resistance levels, the swing trader recognizes a sell signal and exits the trade. And visa-versa for when a stock price falls. Because swing stock trading involves timing a trade in anticipation that prices are going to go the opposite way, this style of trading is a short-term style of contrarian investing. Most people buy when they should sell and visa versa. The ideal swing-trading stock pick, is one with the company having strong fundamentals, but with short-term volatility. This means that the trading range (the price between typical high and low prices) is broader than the average stocks. So swing stock traders need well managed stock market companies whose stocks are somewhat volatile. In other words, the ideal stock would be one with strong long-term fundamentals and very short-term technical signals. A great in-depth starter on learning how to swing trade stocks is the book Getting Started In Swing Trading by Michael Thomsett. This awesome book contains everything you need to know to help you learn swing-trading in a clear, simple and concise manner to improve your stock trading success. 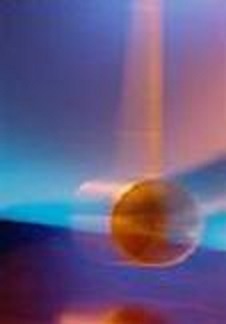 Return From "Swing Trading" to "Stock Trading Systems"
Return From "Swing-Trading" to the Home Page: "Stock Market For Beginners"